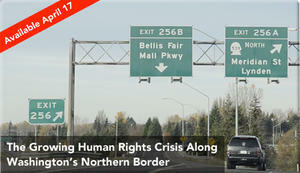 Small towns and cities in Washington State may seem like unlikely places for abuses by the Border Patrol, but that is what has emerged there as the agency's presence in the U.S.-Canada borderlands has grown dramatically over the last several years. The situation presents significant challenges for the wellbeing of families and communities in the area, and for civil and human rights more broadly. Remember that old song from the children’s television show Sesame Street that opens by rhetorically asking, “Who are the people in your neighborhood?”, the one that responds with the words “the people you meet each day?” Among the non-threatening types of people the song references are a baker, teacher, dentist, and grocer. Imagine what an ominous song it would be if one of the “people you meet each day” were a U.S. Border Patrol agent. While the Border Patrol has long stalked neighborhoods in the U.S. Southwest, the agency has now established a threatening presence in the U.S.-Canada borderlands as well, most notably in little towns and small cities in Washington State. That it has done so speaks to the dangers inherent in a law enforcement agency whose mandate is one of “homeland security,” a quest without bounds, while highlighting the need for extraordinary vigilance by civil and human rights advocates. 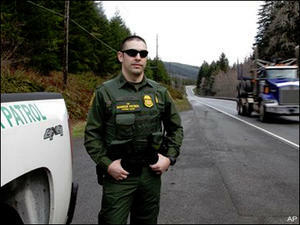 In the last several years, the Border Patrol has experienced dramatic growth in northern Washington, a place where the agency’s presence was symbolic not too long ago. 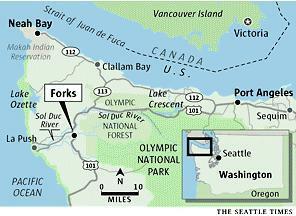 According to a recent article in the New York Times, the number of agents in the small area of the Olympic Peninsula alone, for instance, has increased tenfold over the last six years, from 4 in 2006 to 40 or so today. There, in Port Angeles, a city of 19,000 or so, the agency has just completed the building of a new station—at a cost of approximately $10 million—one with a 40-foot radio tower, two holding cells, a kennel, three dog runs, and a fitness center. It can house up to 50 agents. With its “bureaucratic turf” enlarging throughout Washington, this is a question that is not limited to the Olympic Peninsula. Skagit, Whatcom, and Snohomish counties (to the east of the Peninsula), for example, have also seen marked growth in the number of Border Patrol agents. The result there, says a report issued in mid-April by the immigrant advocacy group OneAmerica and the University of Washington’s Center for Human Rights, is a marked increase in surveillance and harassment of local residents as they go about their everyday activities. According to the report, three patterns of abuse have emerged in the three county area. 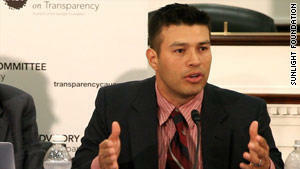 They are comprised of “systematic” ethno-racial and religious profiling by Border Patrol agents; “dangerous fusion” in terms of collaboration between the Border Patrol and local and other law enforcement agencies; and deep and widespread fear and mistrust among community members and hence (among other problems) an unwillingness to call upon emergency-service-providers when needed. In response, the ACLU and the Northwest Immigrant Rights Project filed a class-action lawsuit in late April challenging the Border Patrol’s use of traffic stops and interrogation of vehicle occupants without any legal basis. On a more popular level, groups like the Olympic Peninsula’s “Stop the Checkpoints” contest the Border Patrol’s practices, while the loved ones of unauthorized residents and workers in the region organize communication “trees” to warn when agents are seen in particular locations. Local and other law enforcement bodies sometimes call the Border Patrol when they encounter individuals who don’t speak English for help with translation. Agents often exploit these requests to inquire about the immigration status of the individuals involved. Moreover, the Bord Credit: Roberto Daza/The Seattle Timeser Patrol sometimes doesn’t even wait for a request for backup or translation assistance. In Spokane in the eastern part of the state, agents have shown up uninvited in response to municipal law enforcement calls—much to the surprise of some within the Spokane Police Department and the city’s government. 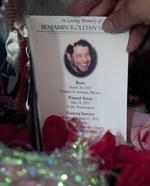 In May 2011, Benjamin Roldan Salinas died when he drowned in the Sol Duc River as he fled Border Patrol agents who were trying to arrest him while he harvested salal (an ornamental shrub) in Olympic National Forest. While an extreme example, the tragic case illustrates how heightened immigration and boundary can only lead to greater levels of repression, violence, and suffering. What is taking place in Washington State has profound implications for the ability of families to maintain their unity and the wellbeing of communities in the U.S.-Canada borderlands (see the video below), as well as for human and civil rights more broadly.